Man wearing a birdskin parka. Gambell, 1929. 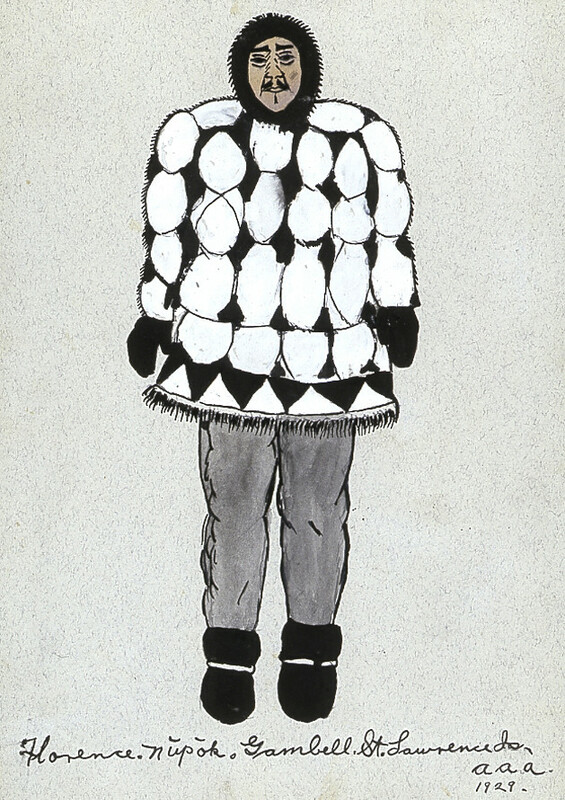 Illustration by Florence Napaaq Malewotkuk, courtesy of the Archives, University of Alaska Fairbanks, APRD66-38-71.